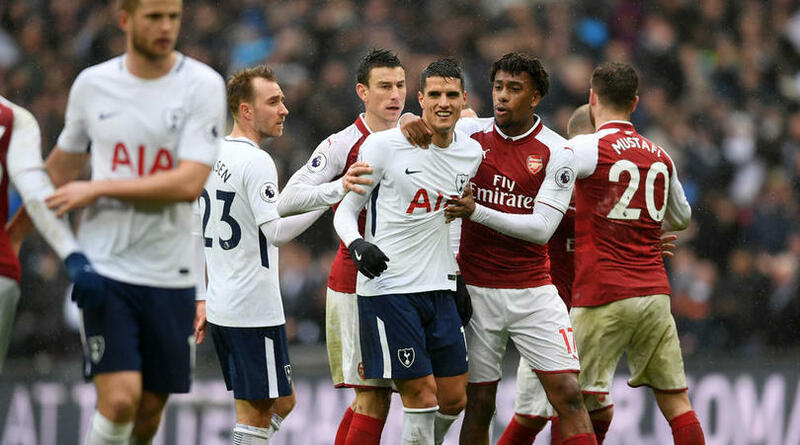 Arsenal will host bitter rivals Tottenham in the pick of the EFL Cup quarter-final ties, while title-holders Manchester City are set to face Leicester City or Southampton if they beat Fulham. Unai Emery’s Gunners progressed on Wednesday thanks to a 2-1 win over Blackpool, while Spurs defeated West Ham 3-1 as Son Heung-min scored twice. Last season’s runners-up Arsenal triumphed 2-1 the last time they faced Spurs in the EFL Cup back in 2015, Mathieu Flamini settling matters with a brace. Leicester City’s meeting with Southampton was due to take place on Tuesday, but it was postponed after the Foxes’ chairman Vichai Srivaddhanaprabha and four others died in a helicopter crash outside the King Power Stadium on Saturday. If they do get beyond Saints, Leicester’s reward will be the visit of former player Riyad Mahrez and City. Chelsea came through a tough encounter with Derby County on Wednesday, winning 3-2 against Frank Lampard’s men to book a home game with Bournemouth, who also defeated Championship opposition in Norwich City a day earlier. The other tie will see League One’s Burton Albion travel to Middlesbrough, with the matches to be played in the week commencing 17 December.